Ana was born in Armenia in 1983, and earned a BFA at Art Center College in California. Her work is inspired by aliens, spirits, and ghosts and she has coined the term “Futurealism” to describe her aesthetic. She believes that whatever we can imagine can also be manifested into our physical reality. Gus Fink is a self-taught artist who has been making a living off of his work full time since 2000. 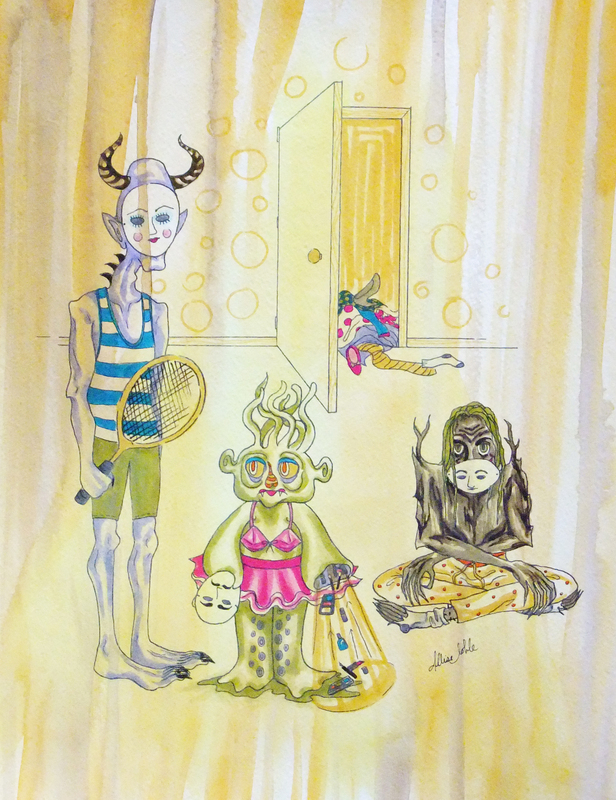 His medium and subject matter varies, but each work maintains his signature creepy yet somehow endearing vibe. His “Antique Horror” collection that spans over a decade was featured in a clothing collection for select Hot Topic stores over the summer. Michele Lynch is a multi-talented artist excelling in painting, mixed media, and sculpture. The characters she brings to life are all a little bit retro monster movie, a little bit steampunk, balanced out with a lot of sass and personality. Japanese illustrator Mizna Wada has just mastered the cute-creepy, pastel goth world. 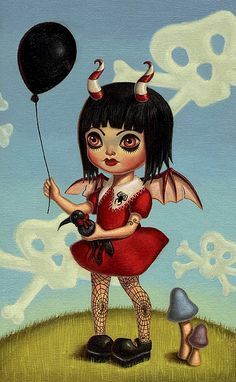 I have always been quite a fan of the adorably eerie universe, so her art certainly struck a chord with me. Wada is another artist who brings her characters painted on canvas to life in 3D form, this time as fun plush dolls and vinyl figures. I must own one someday, when I am not on such a strict budget ;). 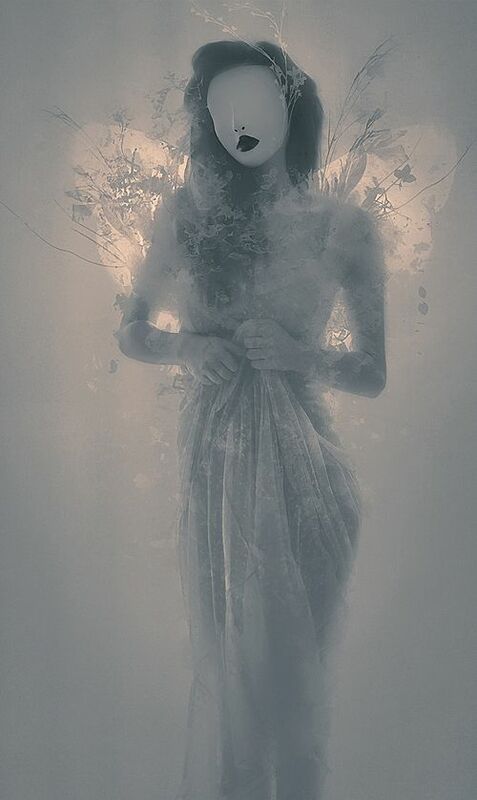 Leslie Ann O’Dell combines fine art, photography, and digital design to create her haunting works. SHK Magazine summed it up nicely when they said of her work, “O’Dell’s work is comprised of haunting imagery… Ranging from dark imposing landscapes to mystifying portraitures, that evoke sensations of vulnerability, demise and the fear associated with such sentiments”. Of course, being a portrait girl myself, I am most drawn to her depictions of figures. They are truly different from anything I have ever seen. Happy Halloween everyone! Have fun being someone new for a day, and a lovely evening to all.